First of all! Next month is NERDSummit! They asked us to tell you this, and they also gave us some money which is a very good way to get us to remember to do a thing! Check it out March 18th 9am – 6pm and 19th 10am – 5pm at the UMass Integrated Sciences Building! There are going to be a lot of great folks there to learn from and workshops for everyone from absolute beginners or non-coders to advanced coders! So hey also we’ve been really digging Pandemic Legacy recently AND BUT ALSO we just got to play Seafall, which is the newest Rob Daviau creation and it’s a heck of a game. We just got to play the introductory bit, but it was a pretty decent combination of simple decisions and complicated effects. You should definitely check out Nerd Nite NoHo this week! It’ll be a really good time and we always appreciate seeing you there! As always half of the money plus whatever you want to put in the donation box goes to charity! It’s a very good system for doing good things for folks. Possibly the fastest way we can imagine to save for retirement! Award-winning pastel artist and teacher Gregory Maichack will teach you to paint Georgia O’Keeffe’s elegant Jimson Flower and then sell it for the price that people are willing to pay for a painting of this nice flower: $45.4 million dollars. Why haven’t we already done this! It’s so simple! Having trouble with your knitting projects? want to modify a pattern? Bring stalled projects of any type to the knitting clinic so they can help! Informal conversation and show and tell with the Forbes Library collection. And cookies! The session topic will be “Emily Dickinson and the Art of Hiding”. So if you really want to impress them, just don’t show up and say you were there but you’re incredible at hiding. That’s using your noodle. Why read about superheroes when you be superheroes? Well, probably because of the inherent difficulty in getting together a lot of folks to play an RPG regularly. That’s what this is for though! New players are always welcome for a wonderful time battling evil! Lisa Carey will discuss her book about magic and love and secrets and all that fascinating stuff. Set in Ireland in 1959, the novel follows a woman whose hands can mystically harm as she begins a tumultuous affair with a mysterious American woman who visits the secluded island on which she lives and the events of a winter full of terrifying and possibly mystical troubles! Katherine will talk about her novel Hospital Hill, set in the Northampton State Hospital. In it, Valerie Martin – a former employee – returns after the closure of the hospital and discovers a dark secret! Why does no one ever return to an abandoned asylum and discover a delightful secret? The best-selling author of books such as An Untamed State and Bad Feminist will present a lecture exploring social critique and innovative reasoning on race, gender, and identity. Jilly Gagnon, #famous Book Prom! Prizes for the best dressed at this book prom! Debut author Jilly Gagnon will talk about her novel about falling in love in front of the whole world and the terrifying thrill ride of social media and also liking another person! A good conversation with friendly people in a comic shop. Meet new people and talk about comics! For digital makers who are interested in creating products and services that provide a good experience for everyone! Things like considering whether or not your UI is readable to people who don’t see a difference between red and green! Talk about current projects, problems and solutions for members, BuddyPress and bbPress, and installing SSL Certificates! It’s a great chance to get a rundown of some useful information about WordPress and to meet friendly people! Watch some anime! We’ve heard Jojo’s Bizzare Adventure is… weird? Good? We honestly can’t tell, but at least we can say we’ve heard that it exists, which means something! Derek Strahan takes readers on a tour of the historic landmarks and wonderful old buildings that are living monuments to the history of a city of firsts, ad well as a look at some of the most historically significant places that no longer exist! Family historian Sara Campbell will tell the unique story of the Rzewski family and their travails as they attempt to reunite in their new Holyoke Home over the course of conscription into the Russian Army, children being scattered by WW1, and a pacific crossing! It’s a story of the deep familial love that keeps hope alive over the course of a long and difficult immigration process! Hear a story, make a craft, generally enjoy the fact that you’re a kid and you’re having a good day! Come Play Laser Tag in the Library! Cauterize your friends! It seems like it makes very little sense to provide teens with lasers and set them loose in a library but hey we’re not in charge. Grades 5th – 8th, please sign up in advance! Stuffed Animal Sleepover in the Library! See what your favorite doll or stuffed animal or action figure gets up to when they spend the night at the library! Hear a special story and then leave your stuffed pal for a night of fun! You can drop them off any time between 10am and 7pm! Reunite with them on Saturday at 10:30am and enjoy breakfast and pictures of their sleepover! This is so frigging adorable we cannot handle it. Richard Pryor! Classic of comedy, in one of his first performances after his very public battle with drugs. A venerable comic mind tackles a lot of topics and we’re like 90% certain holds up without that wrenching disconnect you get with some older comedy specials. Bring food and/or drink to share! After a nice dinner, the Western Mass Sci-Fi Group will watch a classic of weird SF, Brazil! It’s a Terry GIlliam film so you’re in for really distinctive visual design and a plot you can understand a bit in retrospect. Sign up for the Meetup Group to find out where this is! Play an RPG! Be a person you’re not in a world you aren’t! Or… or you could role-play exactly who and where you are! Just sort of recurse through your current experiences like you’re in a hall of mirrors! 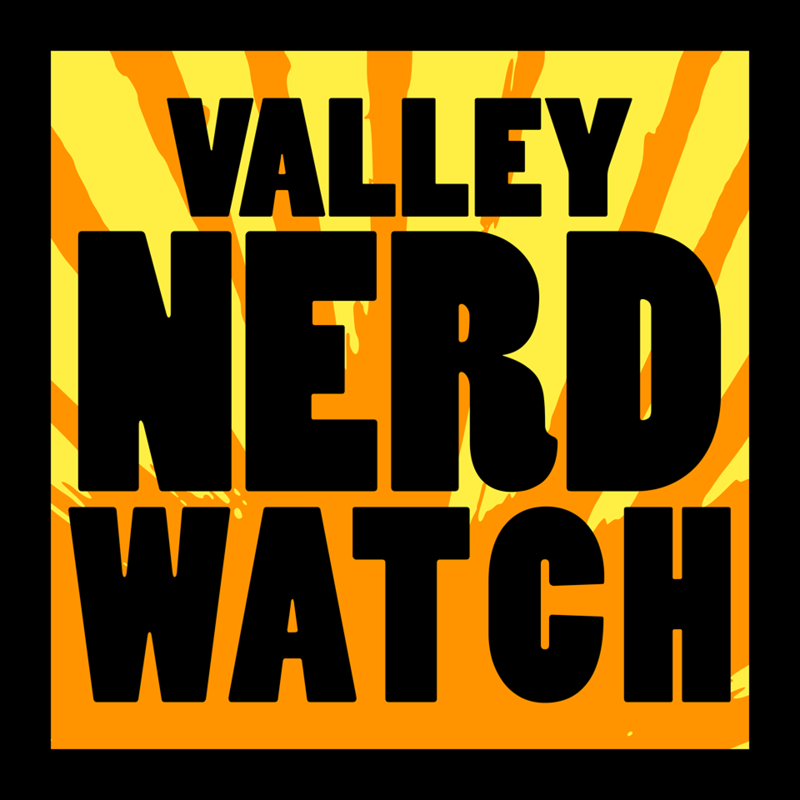 Join us for another fun Nerd Nite! Half of all proceeds go to charity! This time around Henry Lappen will be around to teach us about trees and their various mysteries, and Melissa Lewis-Gentry will speak about nerd communities and how to host nerd events in a really meta talk! Explore geology and volcanoes with Steven and Ralph this month! We’re assuming Stephen and Ralph is what the library calls their pet volcanoes.